Space combat to include spatial awareness later this year. EVE: Valkyrie is shipping with the Oculus Rift, and was thought to be one of the biggest selling points of the VR headset because of its exclusivity. But developer CCP Games has now confirmed that the game will be coming to the HTC Vive as well, with the announcement just in time for the launch of the competing VR platform. "Congratulations to HTC & Valve on launch! 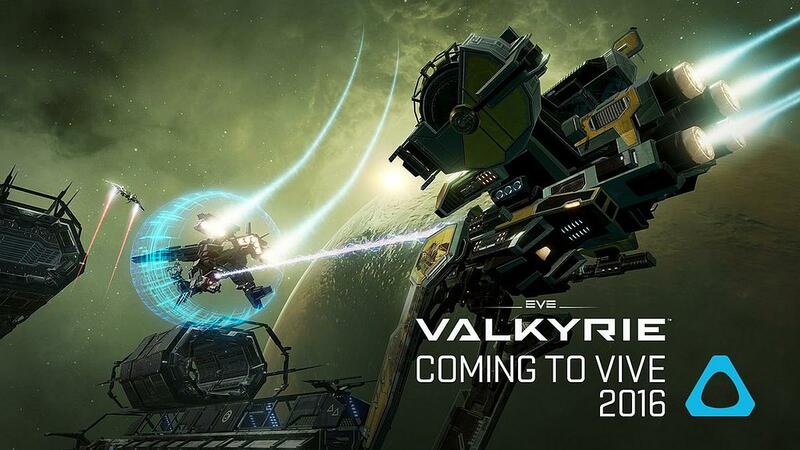 We’re excited to confirm #EVEValkyrie is coming to #Vive in 2016," CCP said in a tweet (via Polygon) earlier today. CCP had previously said the gme would be compatible with Windows PC as well as PlayStation VR, but had suggested in November that a move to Vive was not likely. While that could have been a simple misdirect for Rift exclusivity, the announcement is a pleasant surprise for those choosing the Vive. EVE: Valkyrie is an impressive looking space action game set in the universe of EVE Online. Be sure to check out all of our coverage on the new VR platform later today. Excellent news. All of these team arena style games need as wide a base as they can get. I'd prefer that they opened it to non-VR players eventually.